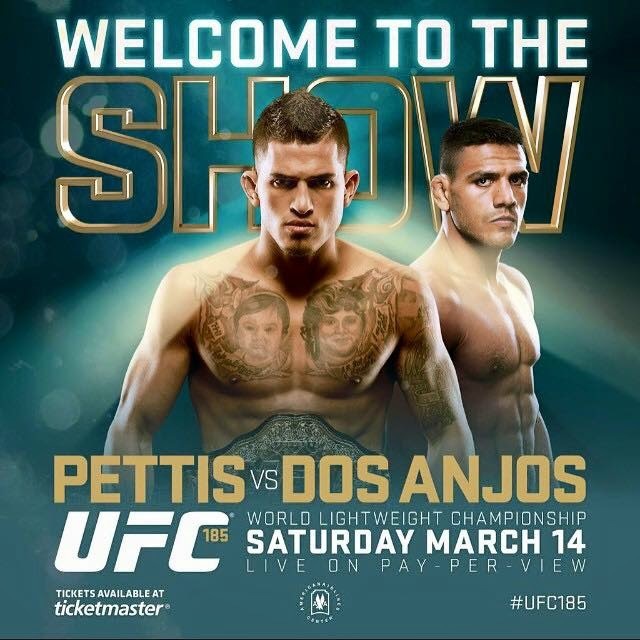 UFC 185 Pettis vs. Dos Anjos Fight Pick & Preview | MMA Fighting Events Videos Techniques UFC Fight Picks and News. The UFC is continuing to regain mainstream popularity after a lackluster 2014 that disappointed fight fans. The UFC really gained some momentum last month when Ronda Rousey finished off her opponent in only 14 seconds. The UFC will attempt to keep that momentum going with a really good UFC 185 fight card headlined by always exciting lightweight champion Anthony Pettis and number one contender Rafael dos Anjos. Let’s take a closer look at these fighters and then I’ll make my fight pick or the main event at UFC 185. Rafael dos Anjos comes into UFC 185 with a lot of MMA experience and an overall record of 23-7. More impressively, he’s 8-1 in his last 9 UFC fights. Rafael dos Anjos can finish fights! He has 2 TKO/KO’s in his last three UFC fights and has finished 52% of his wins overall with either a KO/TKO or submission. Rafael dos Anjos is well rounded and has a complete arsenal of MMA tools. He has the techniques and power to be able to finish fights, but he’s also a grinder and can take the fight into the later rounds with ease. The pressure and pace he puts on fighters works to his advantage and he uses it well as a winning strategy. Will that pressure bother Anthony Pettis? Anthony Pettis has an overall MMA record of 18-2. He’s 5-1 in the UFC with the only loss being a decision in his UFC debut fight versus the gritty vet Clay Guida. Since that loss, Pettis has racked up 5 impressive wins that included two KO’s and two submission victories. Overall, Pettis has finished 83% of his fights with either a KO/TKO or a submission! Anthony Pettis is already a great fighter but continues to improve and impress. His athletics ability mixed in with great technique has propelled him to the top of the lightweight division. His killer extinct has made him a fan favorite. Rafael dos Anjos will be his toughest test yet and will really test Anthony Pettis. This fight has the ingredients for a fight of the year performance! But, there can only be one winner. Look for Pettis to counter the attacks from dos Anjos and get off a little more offense than dos Anjos can handle. As the fight progresses, look for Pettis to find more and more openings. 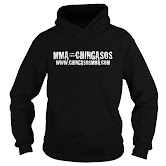 Dos Anjos must catch Pettis making a mistake to win, I doubt that will happen. I see Pettis walking out of that UFC cage with the UFC lightweight belt once again.